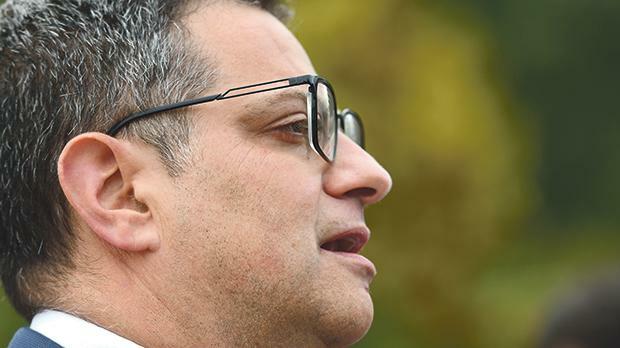 Events in the Nationalist Party, concerning its leader Adrian Delia, are moving fast. Important developments may well have taken place between the writing and publication of this column. But speed makes clarity about the essential issues even more necessary. The issues themselves are simple. It’s their constant entanglement, in public discussion, that is complicating them. Delia denies all the allegations and says the recordings have been so heavily edited that they are misrepresentative. His allies say it should be the courts that decide on the veracity of the allegations. They’re right. The public sphere is no place to decide on domestic truths and the faults behind marital collapse. It’s difficult enough for the courts. There is also no doubt that the recordings have been heavily edited, and in any case many of us can think of times when we channelled our inner Genghis Khan during a domestic eruption. All this means, however, that people are wrong to leap to conclusions about Delia’s domestic affairs. It doesn’t mean that they are not doing it. Once voters are reaching conclusions, everyone is entitled to weigh the impact on Delia’s effectiveness as a politician. Political effectiveness is a public issue, not an ethical but a practical one. The ethics – what should Delia and the party do – follow after an evaluation of the practical political consequences of this affair on his leadership. You can see just how separate the public issue is from the legal one by noting how, for the purpose of the court proceedings, the allegations are graver than the recordings. For the political aspect, though, the recordings are more salient. The reason why the public has been so consumed by the matter has everything to do with the snippets, edited or not, of Delia swearing and enraged. Irrespective of what light (if any) they throw on the allegations, they also raise purely political questions about Delia’s ability as a leader. We judge leadership ability on, among other issues, temperament, likeability, whether we think a leader likes us, and on the ability to set the public agenda. On all these issues the recordings raise serious doubts. Temperament? High office is high stress. No one doubts children can be infuriating but it’s nothing compared with the first dozen problems on a prime minister’s desk every morning. The sights and sounds of Delia enraged naturally make anyone seriously doubt if he has the temperament for the top job. Likeability? Just because voters give themselves licence to fly off the handle doesn’t mean they’ll be able to listen to Delia wax on about a caring society – the PN’s current battle charge – and think of him as a caring person. There will be a dissonance between messenger and message. It is true that voters can bring themselves sometimes to vote for someone they don’t like (think of Richard Nixon, Margaret Thatcher or Donald Trump). But what they won’t do is vote for someone who, they believe, dislikes them. One of the problems created by the recordings is that, in one, Delia shows utter contempt for the inability of a native-born Maltese to speak Maltese – and it looks like something he authentically feels. Forget what you yourself think and feel about the matter. How possible do you think it is for Delia to win over the trust of a voter-segment without which the PN cannot win a general election? Finally, there is the ability to set the agenda. Already, with interviewers, Delia is pleading to get the media to focus on what he considers the important issues, corruption and poverty. His personal issue, he says, is a distraction. Even if it were a distraction, that’s exactly why high officials in (say) the UK and US resign even while claiming their innocence when faced by serious allegations. It’s because for them to continue in office is to distract from their party’s agenda. In the UK, both Peter Mandelson (when he resigned from the Cabinet for a second time) and David Blunkett resigned from high office only to be cleared later by an inquiry. But no one’s ever questioned that they were right to resign when they did. In any case, it is disingenuous for Delia to claim the focus on the Whatsapp leaks are a distraction. It’s not a distraction in so far as the affair raises real questions about his electability. If the public perception is that he can’t win, then there’s no point paying attention to what he’s promising. He’ll never get to implement anything. To repeat, the key issue is to weigh the impact of the affair on his effectiveness. Everything else is secondary. It makes no difference if he is industrious, if his work is also pointless. It makes no difference to say that these leaks are the result of a conspiracy (he seems to believe it’s the result of collusion between Labour and his internal adversaries, which could be true). It’s him doing the shouting, irrespective of context, and it’s by that performance that the public is judging him. He might well say the affair is not affecting him. Perhaps, but you wouldn’t think so when reading the infamous message he sent members of the Administrative Council on Monday. That message gives a Manichean vision of the world – of black and white, of good and evil, of with us or against us. It’s the message of a sectarian leader, not the leader of a broad church, which is what the PN has to be before it can win a general election. Finally, it’s also secondary that currently there is no obvious replacement for Delia. It will be difficult to find a unifying replacement for a political party, whose members represent a broad church, while the party machine behaves like a sect. The only solution is to find an interim leader with the talent and special charisma to make the party able to converse with itself – all its various parts – once more. In that conversation, several potential leaders can be judged and weighed, without members needing to feel they have to roll the dice in choosing a successor. But before the PN decides what it ought to do, it should decide what kind of Malta it’s operating in. Is our country one where Delia has any hope of recovering, politically, from this latest debacle? My own view, for what it’s worth, is that Malta is not that kind of country.